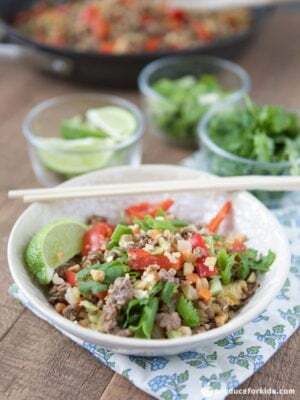 A thai-inspired twist on cauliflower fried rice is ready in 25 minutes for an easy weeknight meal. 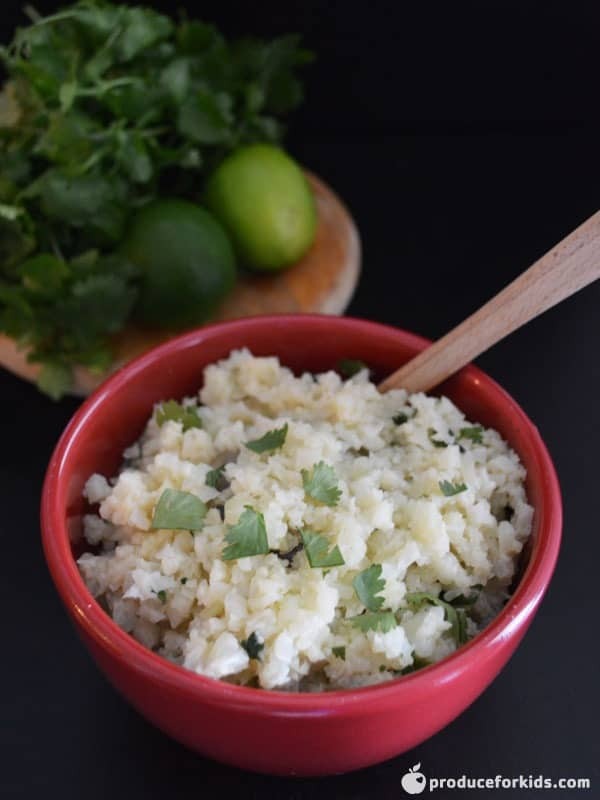 Top with fresh cilantro and peanuts for added flavor. Serve alongside a simple ginger salad, homemade spring rolls or steamed edamame for a restaurant feel without the bill. Recipe and photography by Aggie of Aggie’s Kitchen. A thai-inspired twist on cauliflower fried rice is ready in 25 minutes for an easy weeknight meal. Top with fresh cilantro and peanuts for added flavor. Serve alongside a simple ginger salad, homemade spring rolls or steamed edamame for a restaurant feel without the bill. Recipe and photography by Aggie of Aggie’s Kitchen. Heat oil in large skillet over medium heat. Add the ground beef and cook 6 minutes, or until browned and cooked through Remove ground beef from pan and set aside in small bowl. 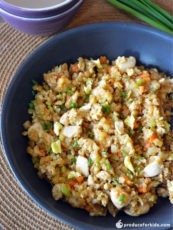 Wipe out extra grease from skillet with paper towel, leaving a little left behind to cook cauliflower fried rice. Add cauliflower rice and pepper strips to pan and increase heat to medium-high heat. Cook vegetables, stirring occasionally, 3 minutes. While vegetables are cooking, whisk egg in small bowl. Pour half of sauce packet from kit over vegetables and stir. Make a well in the middle of vegetables by pushing cauliflower rice to edges of pan. Pour egg in center of pan and gently stir 1 minute, or until cooked through. Stir egg into cauliflower rice and peppers. Add ground beef back into pan and stir. Add remaining sauce to beef and vegetable mixture and combine. Squeeze juice from half of one lime over beef and vegetable mixture, season well with salt and pepper to taste. 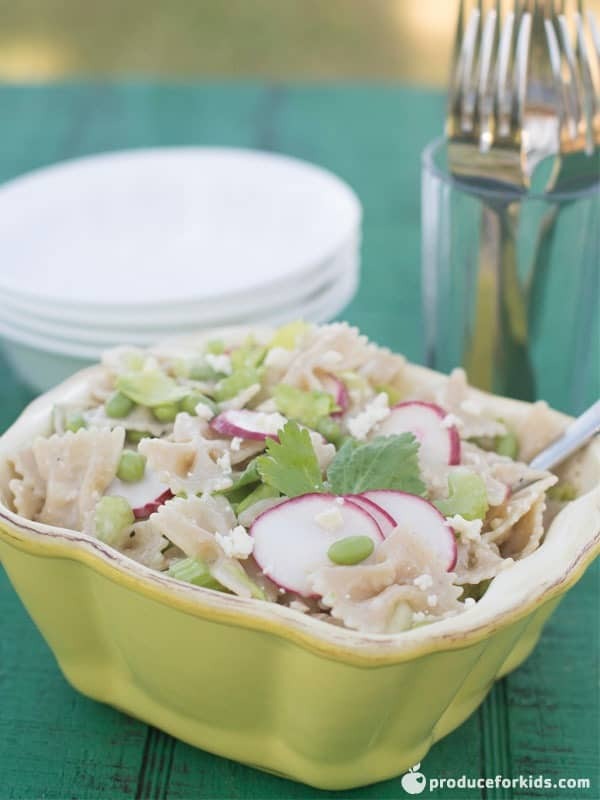 Serve in bowls with additional lime wedges, chopped green onion, cilantro and peanuts as topping.